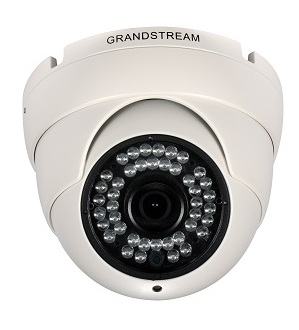 This Grandstream GS-GXV3610-FHD 3.1 Megapixel Progressive Scan CMOS 1080P is indoor/outdoor HD IP Camera features industry-leading SIP/VoIP for 2-way audio and video streaming to both video and mobile phones with weather-proof infrared. 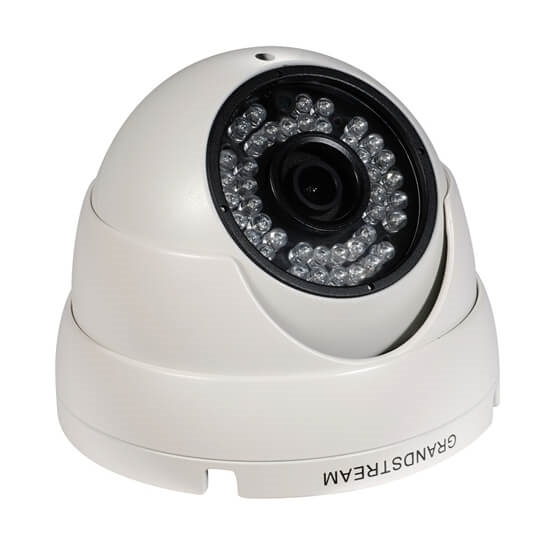 The Grandstream GXV3610 series are weather-proof Infrared (IR) fixed dome IP cameras with a high-definition 3.6mm lens - making them ideal for wide-angle monitoring of nearby subjects in environments such as banks, hotels, retail, offices, warehouses, and building entrances. The camera’s advanced Image Sensor Processor (ISP) is powered by a state of the art auto-exposure/auto-white balance algorithm which allows for exceptional performance in all lighting conditions. 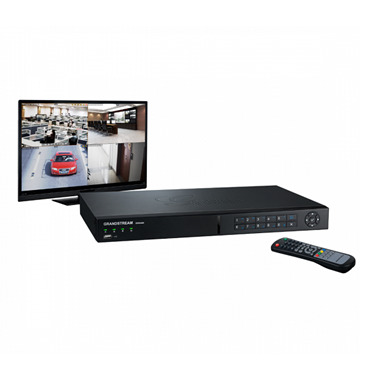 Pair the Grandstream GXV3610 series with Grandstream’s Grandstream GVR3550 Network Video Recorder (NVR), which supports plug-and-play with all Grandstream IP cameras, to create a powerful recording and monitoring solution. The Grandstream GXV3610 series can also be managed with GSURF Pro (Grandstream’s FREE video Management Software that allows simultaneous control of up to 72 cameras) along with other ONVIF-complaint video management systems. This indoor/outdoor HD IP Camera features industry-leading SIP/VoIP for 2-way audio and video streaming to both video and mobile phones. It contains integrated PoE, IR-CUT for day and night mode, and a flexible HTTP API for easy integration with other surveillance systems. 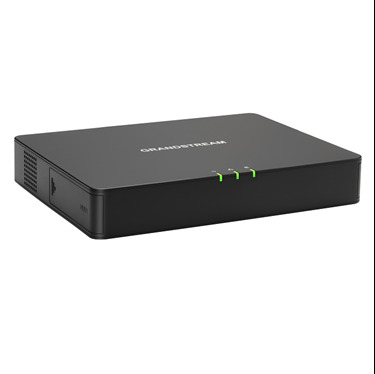 The Grandstream GVR3552 Network Video Recorder (NVR) provides video recording, indexing, searching and video storage management for up to 16 IP video cameras with up to 4TB of storage, making it ideal for small businesses and residential users. 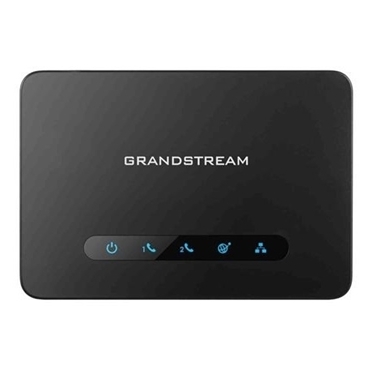 The Grandstream GVR3550 is a powerful Network Video Recorder (NVR) that offers small to medium businesses (SMBs) and residential users a reliable and easy-to-manage solution for video surveillance recording and monitoring. 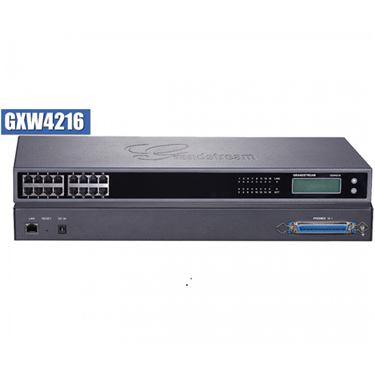 The GrandStream GXW4216 GXW4200 Series 16 Ports High-Density FXS Gateway series enables businesses of all sizes to create an easy-to-adeploy VoIP solution that takes advantage of Gigabit speeds.